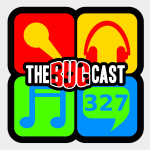 This week on The Bugcast: We discuss social media, we get invaded by the girls, and we play 8 cracking tracks of independent and Creative Commons music! Is the reputation of decentralised social networks being tarnished by the actions of extremist activists? The next live show will be episode 328, which will be broadcast live in the chatroom on Friday 29 August 2014 from 21:30 (ish) UK time (UTC+1/BST). The next live show after that will be episode 329, which is likely to be broadcast live in the chatroom on Friday 12 September 2014. There will be no live show on Friday 5 September.